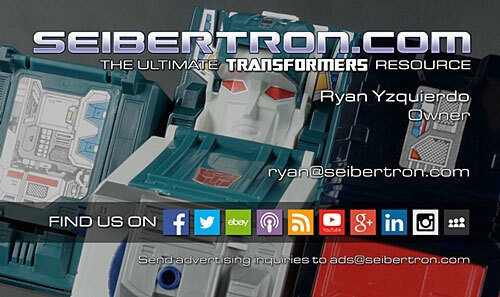 Seibertron.com Energon Pub Forums • Ask the Twincast ... post your Listener Questions here! Ask the Twincast ... post your Listener Questions here! Skice wrote: Do you have something you would like to ask the Twincast crew? Like to know where we get our ideas from, our personal favorite transformers, our favorite series, or our least favorite? Well what ever it is, you can ask it here. You can ask one of us or all of us if you like. If you are lucky we might answer it here, and if you are really lucky we just might address it on the Twincast itself! do you like the Unicron Trilogy (Minus Energon)? Motto: "Wait, we're supposed to save all humans? Are you sure?" 1. How do you feel about the state of the franchise? 2: What are some of the things you never realized your Transformer can do? 3: Where would you like to see the toys head to in the future? 1. 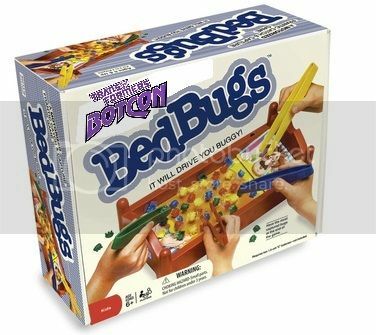 In your opinion, what are some of the worst Transformers toys/molds, and why? 2. Do you think Activators/Fast Action Battlers/Power Bots/Etc. are good for the Transformers brand, or are they a waste of shelf space? 3. What Transformers figures/characters do you want made, or what characters need an update? Why so little love for the original Marvel Comic "Miniseries" in the community? When ever there is talk about TF, it's always the cartoon or the toys. In my opinion, the original comic is still the best aspect of the entire franchise. Duke of Luns wrote: 1. In your opinion, what are some of the worst Transformers toys/molds, and why? I "second" these 2 questions. The response to the first one would be hilarious, and the response to the second one would be quite interesting, I think. Let's assume that Generation 1 is referred to as such, solely because of the existence of Generation 2. What name would the fan-dom use to refer to the series and what would we call "Gee-wunners" in place of that term? What Generation 1 figure that did not get repainted into Generation 2 deserved the repaint the most and why? More importantly, what primary colors would you envision the G2 version of that character having? You've stated which characters you'd want eliminated if given the chance. How would you have improved those characters to a bearable level, without becoming generic? How different do you think Transformers would be if Hasbro/Takara-Tomy didn't own the intellectual property? What if one of the major comic companies came up with the concept and owned the rights? With new fiction coming out each year with new shows, new characters have come into existence. Who do you think has been the best new original character of the modern era (RID and newer)? Worst? Do endless variations and slight repaints that have been released since TF:Movie 1 annoy you, or are you indifferent? Would you rather see 1 version of Movie Bumblebee released through several waves, or slightly altered versions released each wave? Being that not all fans have specific stores in their local geography, how have you had to cope with obtaining store exclusives, many of which sell out rather rapidly online? Would you support another Costco or Sam's Club exclusive...if it was good? For Botcon attendees, which convention have you enjoyed the most, and which the least? Do you think we get an adequate value through the Transformers Collectors Club and Botcon? Or do you think most of it is overpriced? What would you do differently given the chance? Most G1 collectors are in their late 20's to early 30's with some even older. Do you think there will be a flooded market of G1 figures in 20-30 years from collector's passing away and families getting rid of their collections? Or do you think enough of collectors children will be attached enough to keep them and continue to grow them? Will a SEALED G1 figure suddenly become worthless because nobody will be left alive to appreciate it? Year after year, new Transformers have been released. For those that have larger collections, does it concern you at all that you will eventually run out room or have to build an addition to your house? 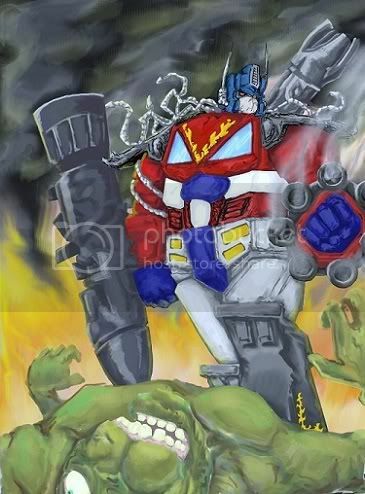 Motto: "I seem to have come down with a case of Scott Mcneil..."
wetgerytruj wrote: 2011年BotCon scheduled Events? That won't be known until some time next year. coming soon "The Electric Information Show" a new podcast from the guy who brought you the Twincast. Skice: the voice of War Within Scrapper, Scramble City 2 Hot Rod, and War Within Megatron! What else do you jerks collect? Counterpunch wrote: What else do you jerks collect? Motto: "By the cloak of darkness I will enter your very sacred of places seen but unnoticeable!" So I know most of you dislike Rodimus Prime. I happen to like him as well as I know one of you does to. So to the others if you had the chance, what would you change about Rodimus Prime's personality other then the obvious feeling like he couldn't fill Optimus's shoes? What sort of leader would you want him to be that would be different and fit the series and made you like him more? We are so much more then mere machines, intelligent robots who think and feel. Yet, we have fell to greed and destruction by our own causes! From this moment I stand my own ground, on my own faction to achieve true unity! The Transformers brand has been around for 25+ years, with new toys ever single year(more or less), and has had more successful launches and relaunches than most companies can even dream of. My question: What do you think makes Transformers such a long lasting, multi-generational success? Why do you guys specifically keep coming back, year after year, line after line? Motto: "eagls may soar but weasels dont get sucked in to jet engens"
my question is i have this rash and it itches should i scratch it? Sorry for this getting asked so late after the relevancy has faded, but what do you guys (and girl(s)) feel about Shattered Glass and the whole reverse-morality universe concept? 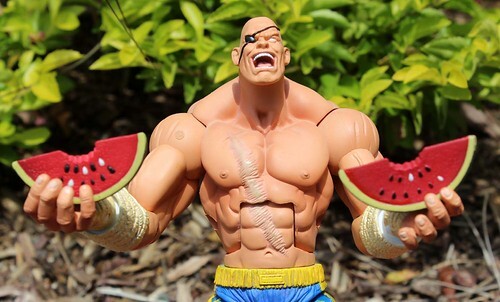 what character needs more love or a toy update? 1. What's the one figure in your collection you're most proud of? As a subset, what's the rarest/most expensive figure you own? 2. What's the one figure that you wish you had the most? 3. What's the figure you regret buying the most, and why? 4. What's the one figure, minicons included, you wish Counterpunch DIDN'T own? A quick one for the gang. Out of all the Botcon/TFCC fiction that has come down the pipeline which one is your favourite? Eg, Shattered Glass, Wings of Honour, etc. 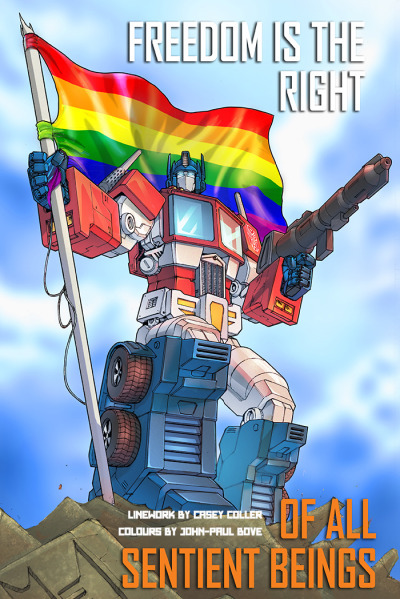 Love the twincast, keep up the good work you guys. 1. Who is your favourite comic book author and why? 2. Who is your favourite comic book artist and why? TaZZerath wrote: Long time listener, first time poster. Holy crap, we have long time listeners! Thanks man. The year is 2015, you wake up from a cryosleep to realize you've survived the events of 2012 and stumble into a decimated world where you're forced to fend for yourself. After finding food,supplies and setting up a strong hold you stumble across a toys'r'us or a pawn store. What transformer do you shed a tear when you find him/her in the remains of a shattered humanity? Now know, I don't think anythings happening this is just for fun. 4,469 pages were recently viewed by 879 unique visitors. This page was viewed 1 times on Saturday, April 20th 2019 1:42am CDT. © 2019 Seibertron, Inc. DBA Seibertron.com. All Rights Reserved. Established June 2000. Seibertron.com is owned by Ryan Yzquierdo.